Have a comfy sleep or take small naps with your new favourite Action Man Atom Throw Blanket that will keep your kid warm on cold nights. Your kid will surely enjoy cuddling under this cosy throw blanket while watching their favourite TV show or movie! Every kid’s favourite Action Man with his cars and guns are popular choice for boys. Made from 100% polyester fleece, this throw blanket is extremely soft, warm and durable. 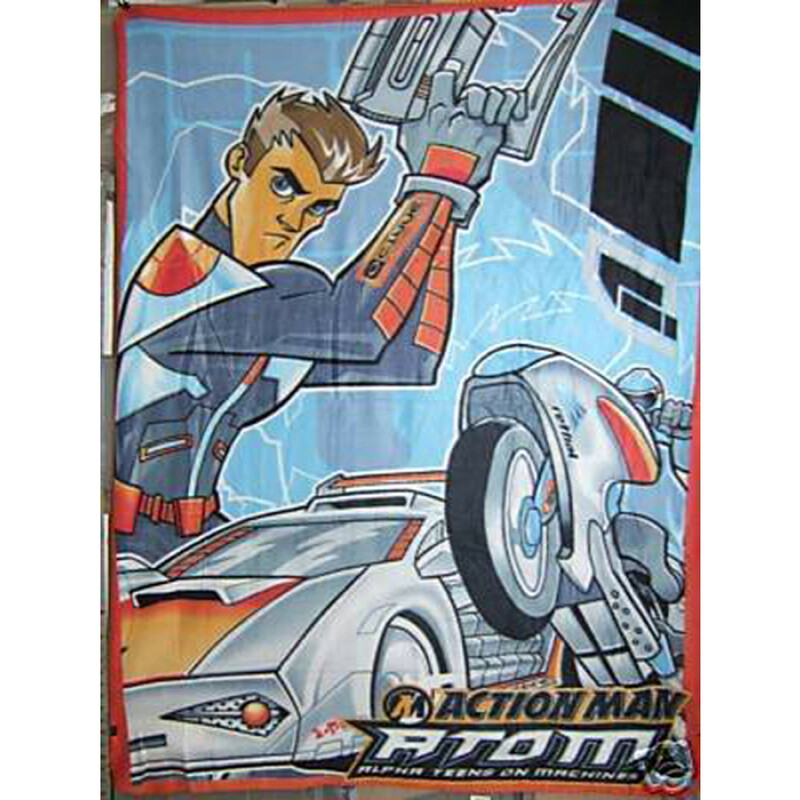 This machine washable throw blanket is accessible in size of 125cm x 150cm (approx).